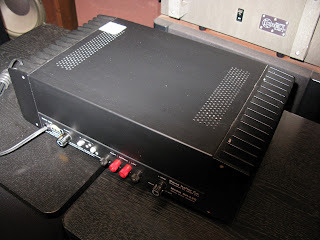 Rock solid Audio Power Amplifier. 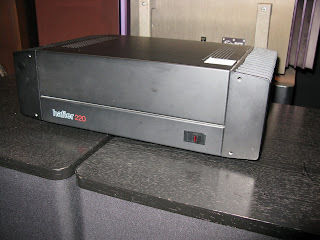 Hafler DH220 110Wx2 Mosfet power amplifier. 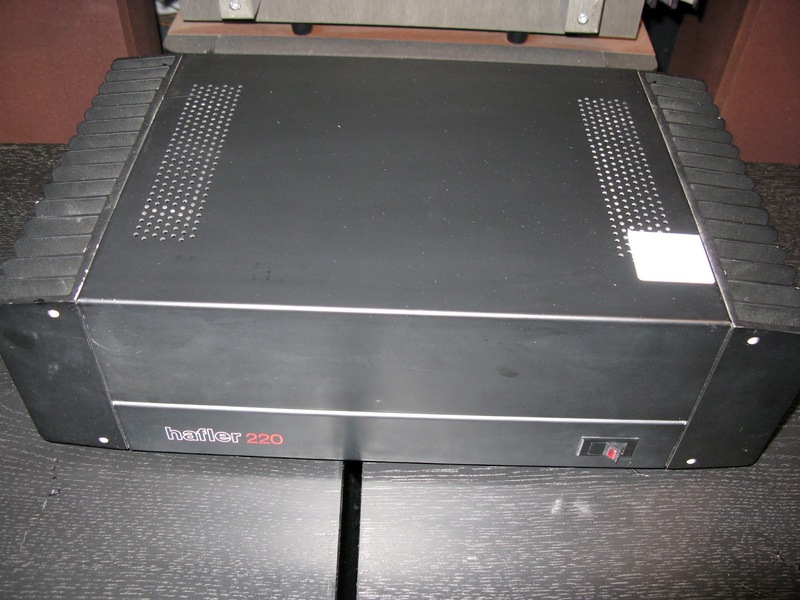 This amplifier is in excellent working condition. 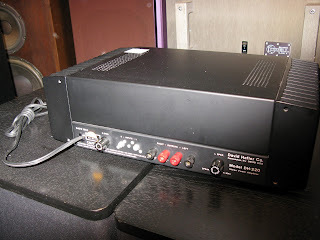 This is a very powerful amplifer. 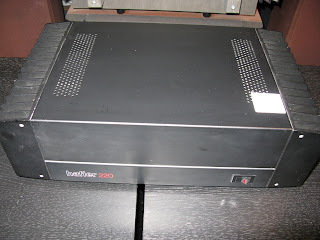 During listening test in our room, one never approaches the maximum wattage output of this power amplifier. Excellent transient response, extended and tight bass, and a transparent and silky mid-range without a hint of distortion. Listening to compact discs, due to the wide dynamic range, it was impossible to hear if the equipment was switched on or off. Music emerges from a perfectly black silent background, and you can hear details in the music you could never heard before. Cosmetically, it's cherry, no scuffs and scratches on the top. The face plate is very clean, and scratch free. If you know classic audio, you know who David Hafler is. He ushered in a era of high power, high current amps with outstanding quality. 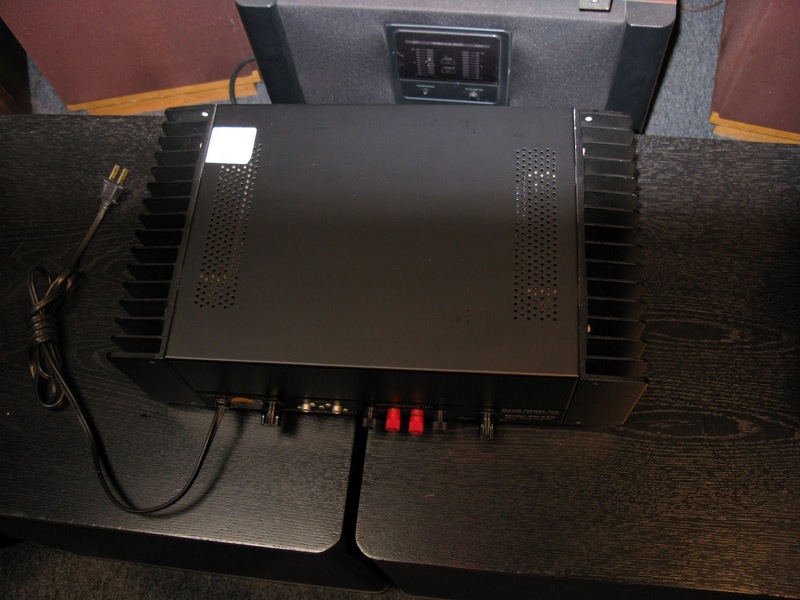 Power Rating: Less than 0.02% THD @ 115 watts RMS per channel at any frequency between 20 Hz and 20 kHz w/ both channels driven. 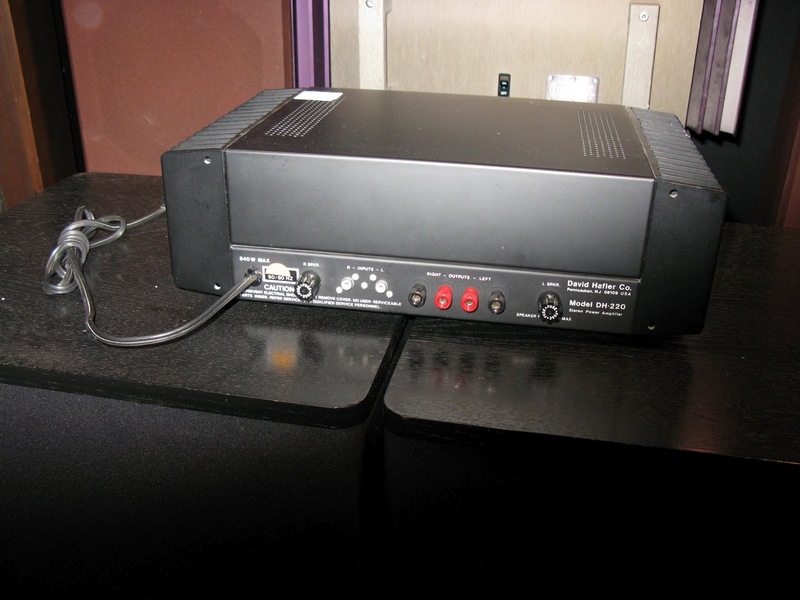 IM Distortion (SMPTE): Less than O.OOS’%, from 1 watt to 115 watts. 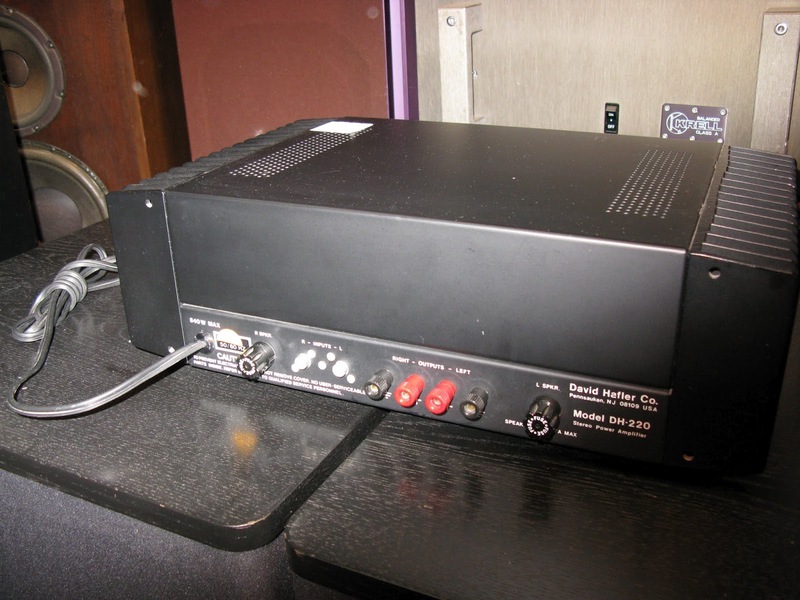 Input Impedance: 47K ohms. 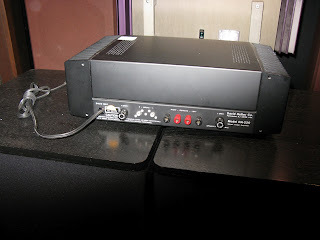 Input Sensitivity: 1.55 volts rms for 115 watts into 8 ohms. Signal to Noise Ratio, unweighted: Better than 100 dB at 115 watts into 8 ohms. Power Consumption: 1 15 watts into 8 ohms: 840 VA; Quiescent: 125 VA. Size: 5-1/8" high. 16" wide, 10-l/2" deep. Net Weight: 26 Ibs. Shipping Weight: 30 Ibs.